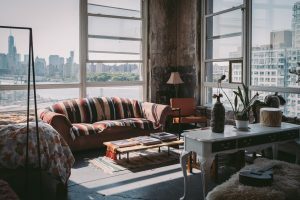 Have you ever rented someone’s apartment in the summer? Taken an Uber home on a Saturday night? Maybe washed someone’s car or mowed someone’s front lawn? Technology has made sharing and selling so simple. It has never been easier to take part in the sharing economy. Networking technologies like social media, apps or forums allow any type of transaction possible. Do you know what the sharing economy is? It is as simple as renting a holiday house from someone. If you have rented an asset owned by another person, the sharing economy has entered your life. Airbnb allows you to rent property from a stranger. Airtasker lets you complete stranger’s chores for money. eBay lets you buy and sell second-hand goods. Uber orders a person to pick you up from the location of your choice. Will you get in a strangers car? Are you a frequent Uber user? Car sharing platforms have flipped the taxi industry on its head. People have jumped into their cars and become their own taxi service. The sharing economy is taking the power away from the big businesses. People are using their assets to help other people for money. This is the sharing economy in full force. Do you have skills that are being wasted? Do you love mowing the lawn or planting flowers but have no garden? Airtasker allows people to complete day to day tasks for anyone. Whether it’s teaching, fixing, building or digging, your skills are required. If you have a unique skillset, Airtasker will give you the opportunity to use it. Would you like to be a local everywhere you go? If you plan a beach holiday or travel through countries, you need a roof over your head. The streets are not always so kind. Airbnb and Couchsurfing give you that feeling of living like a local. You can rent apartments or sleep on strangers’ couches to have that authentic, interesting experience. Do you love pets but cannot afford or do not have space/time to look after one? Now you can with Mad Paws. This is obvious for every parent, you need to feel safe with your babysitter. But what happens when you go on holiday without your pet? I see my dog as a family member and Mad Paws gives me the security knowing that my dog is safe. That a stranger will open their home for my dog. 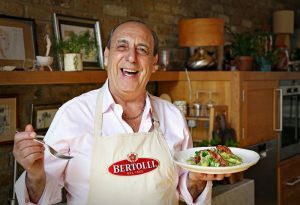 What does an authentic Italian pasta taste like? What about a delicious Indian butter chicken? Do you love local cuisines but don’t have time to travel? Chefly is about people cooking local delicacies for strangers to buy. This is a perfect example of people sharing their skillset with one another. Before technology became such a powerful force, the concept of a sharing economy seemed impossible. With such efficient networking technologies, the options are endless. These days if you feel like, need or want anything, an option is not far away. If you are thinking of creating a sharing economy app, whether it’s for travel, food or leisure, get in touch with Launchpad for a free quote. Are you curious to find out what will make your life more productive? Have a look at our blog to find productivity hacks. One of the most common phrases in mobile is “there’s an app for that”. Now, it should be “there’s an Uber for that”. This year, we’ve seen the “uberisation” of mobile apps – the increase of on-demand mobile apps in the market. There are lots of on-demand apps that offer different services, such as food deliveries, postal services and many more. These apps are part of a market that is known as the On-Demand Economy, also called the Sharing Economy. 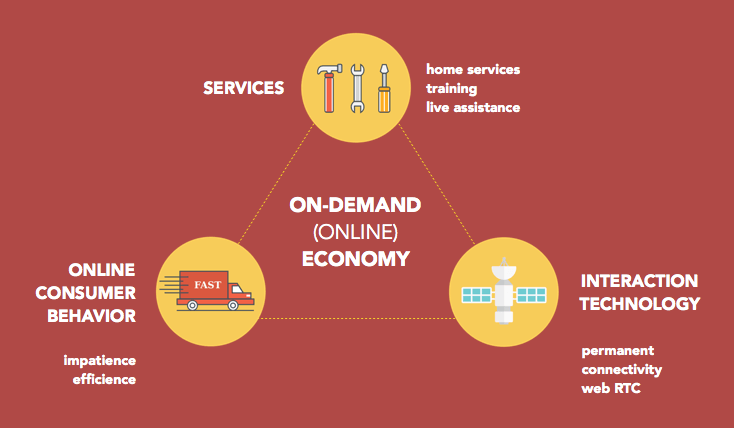 The On-Demand Economy refers to activity that is focused on providing goods and services to consumers efficiently and immediately. A majority of the key players consist of technological entrepreneurs and startups. The leader market is Uber. Valued at $85 Billion, Uber is dominating the transportation market with the highest funding. There has been a high interest in on-demand apps with investors resulting in a lot of money being invested in on-demand apps. Since 2010, $9.4 billion has been invested in the on-demand industry and we’ve seen a major jump in funding for on-demand service apps. The tech-savvy and constantly connected millennial generation (18-34 year olds), make up most demand in the sharing economy. As a result, an increase of apps catered towards this group can be expected in the future. The on-demand app economy is expected to grow thanks to the positive outlook in the Australian app economy. App entrepreneurs will look for new opportunities, while current on-demand apps will expand. As a result, others will compete with the big on-demand app players. There will also be expected growth in various industries in the future due to the on-demand economy, such as groceries, transportation, home services and food delivery. Why are On-Demand Apps so popular? The on-demand economy is booming because of our consumption behaviour. On-demand apps are easily accessible, very convenient and easy to use. These on-demand apps help make life easier for us by fulfilling our daily needs. With the touch of a button all our chores are done, at a low cost. 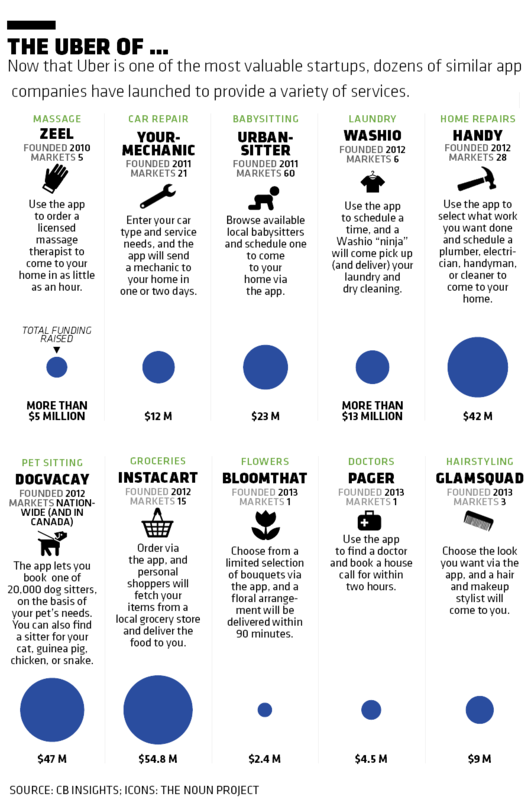 On-demand apps are also popular with app entrepreneurs and startups. This is because it enables them to bring their idea to life faster and more cheaply. On-demand services like Dispatch help startups list and source their services to customers. It gives app entrepreneurs and startups the opportunity to capitalise on markets that have been untapped. These include B2B On-Demand Services, drone deliveries and B2B shipping. What are the most popular categories of On-Demand apps? This popular service trend began with a company called Suppertime, now called Foodora, which delivered food to late working business people and entrepreneurs. Food delivery is now one the largest and most popular areas, with lots of service operators, such as Deliveroo, UberEats, Menulog and Foodora. In fact, restaurants offer a whole diverse range of cuisines so consumers can purchase food from any nationality. With Australia’s multi-billion dollar takeaway industry, this sector will continue to grow as more restaurants take on these services. Outsourcing services have become very popular in the United States. Being influenced by the success in America, these on-demand services are currently trending in Australia with major platforms such as Airtasker and Sidekicker. These services help consumers with daily tasks such as general cleaning and home improvements. In addition, there are now on-demand clothes washing startups, such as Dryz and LaundryRun, launching in Australia. This area could potentially grow further in the future. Ride-sharing was the pioneering sector, which started the on-demand app trend. Uber was the first app to disrupt the transportation service and on-demand platform. Ridesharing services are growing and used more often by commuters. The most popular apps in this category include Uber, GoCatch and Shofer. This is very popular because it’s cheaper compared to taking taxis. Consumers have a range of different services and tiers, which range from budget to luxurious rides. Your app should give consumers and users a simple purchasing experience. Here, you should implement features and technology that makes the app easier to use, e.g. live tracking, easy payment options, have a service progress screen etc. To complement the intuitiveness, your app should have a UI and UX design that is visually appealing and intuitive. Users should be able to navigate the app easily and identify which buttons are interactive. With the various on-demand apps out in the market, you’ll need to identify how your app will stand out among others. Here, find out if your app idea solves a need that hasn’t been met. 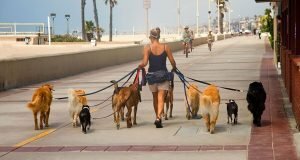 For instance, in 2015 the on-demand dog helping service, Wag!, was launched to help busy people take care of their dog. If there are other apps that solve an existing problem, think about how you can do it better than competitors? During the planning stage of your on-demand app idea, you should try to find an industry or market where you can get a competitive advantage. Focusing on one market when first starting out allows you to stay focused on a specific target audience and avoid competing with others and market leaders. This is how current ride-sharing platforms became successful. You can do this by either targeting a niche market or trying to disrupt an existing market. For instance, Drive Yello disrupted the food delivery market by enabling restaurants to post delivery jobs; essentially being a job board for drivers. The on-demand economy has been booming this year and will be expected to grow in the coming years. These platforms have changed our lives, making daily chores like preparing dinner and postal delivery more conveniently. With the most common apps being food delivery, outsourcing tasks and transportation, there is the potential for other markets to be disrupted. If you are looking towards creating your own on-demand app, remember to make sure that it solves a problem of a defined market with a design and features that are easy to use. 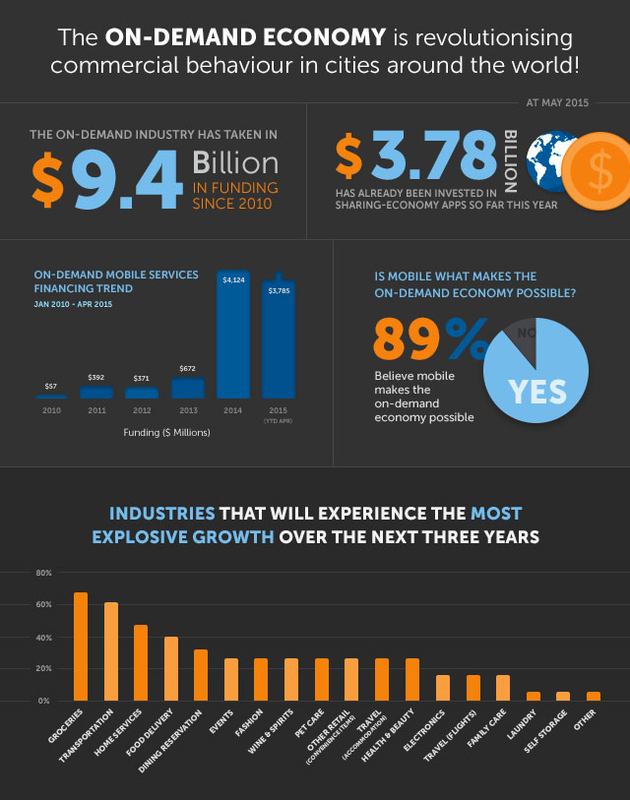 What are your thoughts on the on-demand economy? Let us know in the comments below or on our Facebook page. Contact us if you have an app idea and we’ll help you bring it to life.